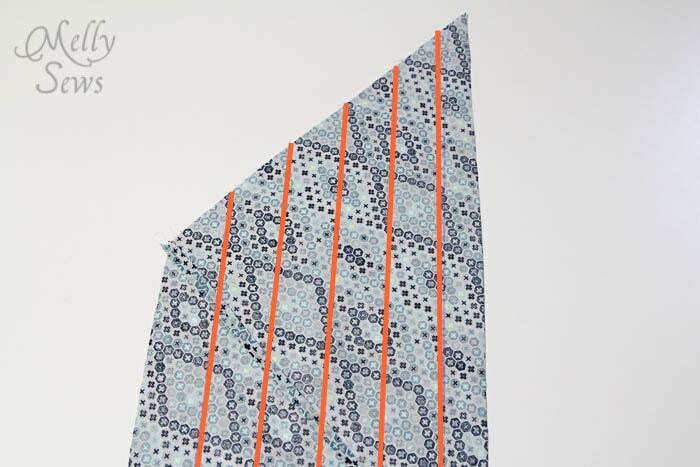 I love the fact that you can make bias tape to match or contrast any project. 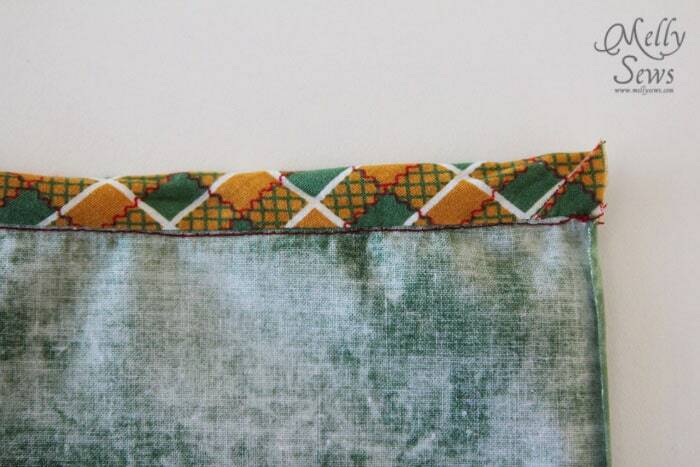 I have used bias tape to edge my quilts and also on some projects to make square edges and shaping. 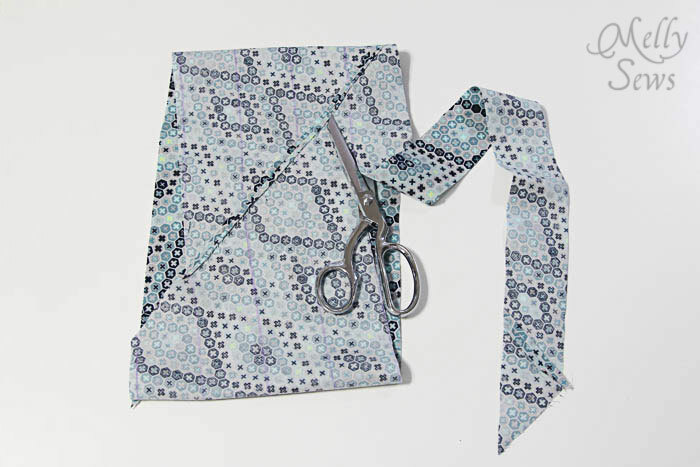 I have used bias tape to lengthened a garment. What timing! I just bought a bias tape maker on Monday…. I haven’t tried it yet. I think I’m going to have fun with this! 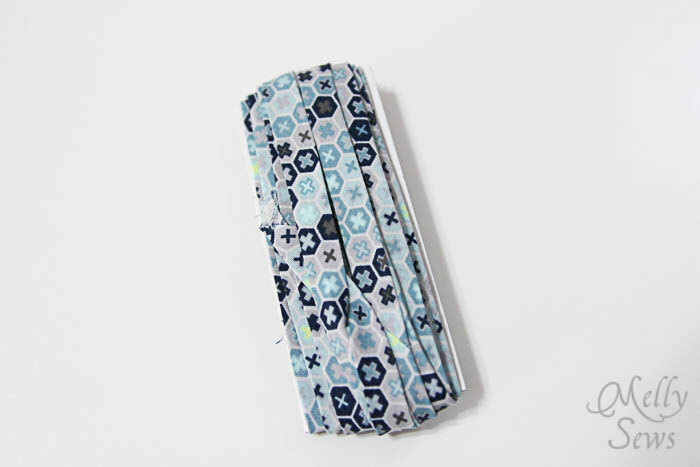 I just finished making some bias tape for a sewing machine cover I am making. Great tutorial; thank you! 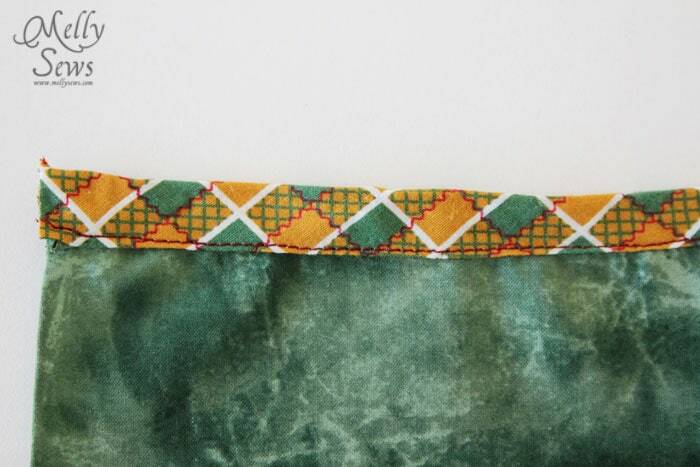 I’ve used bias tape on sleeve hems and skirts, for decoration. 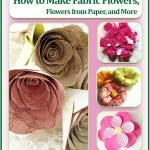 So glad to see an easy tutorial to make my own! I have never thought of trying to make my own, thanks so much for the tutorial! Bibs, potholders, place mats, stockings, you name it. Lots of it on quilts of course. Seems like I never have enough and I am always making some for something. Thanks for the tutorial. 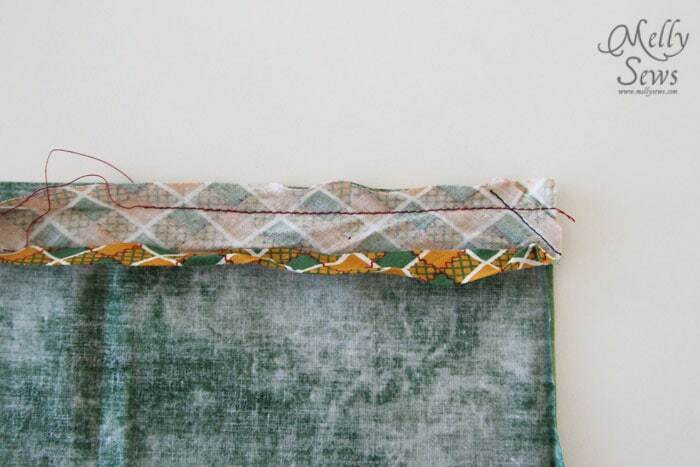 Your tutorial made it very easy for me to understand; I used attach small strips one at a time to make a continuous bias tape. Thank you. I have used bias tape for making pot holders and on baby blankets…being a beginner, the result wasn’t as expected nor was it easy but I will keep practicing for better results. 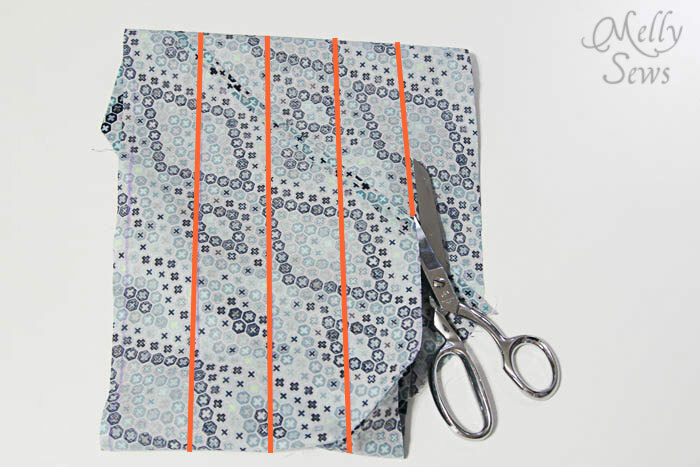 I use bias tape as edging on place mats, quilts, aprons, oven mitts, and hot pads. I also use it for facing for some garments. I use it for binding on my quilts. This is great timing! 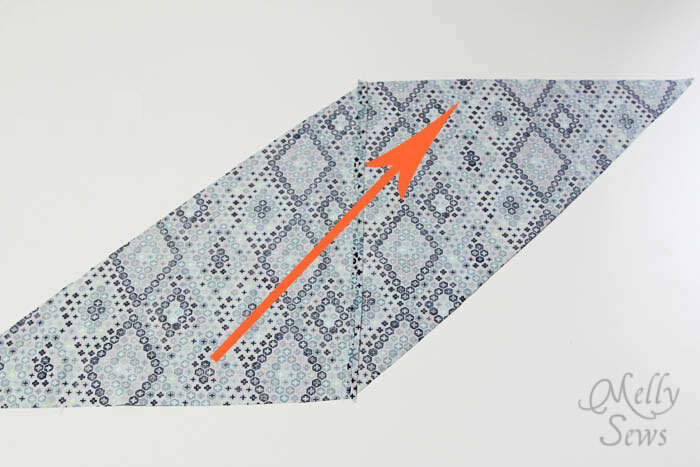 I was wondering if I wanted to use store bought tape or try to figure out how to use a pretty print to convert a pullover sweater into a cardigan. Thanks! I have been making my own bias tape for years. I do still use the store bought once in a while. But it is so easy to make with a tape maker! 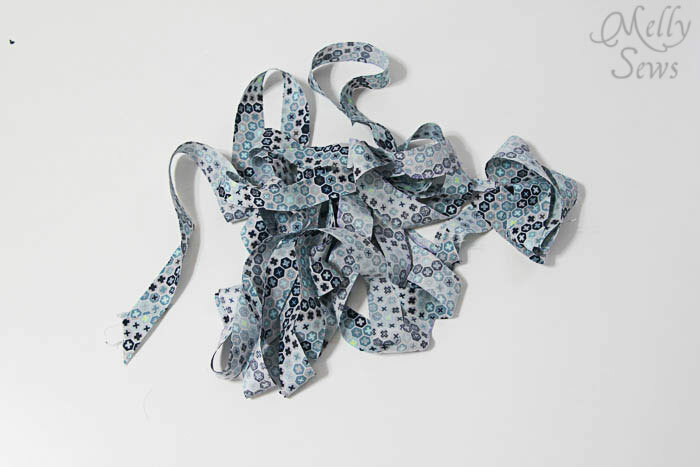 When I am using bias tape it would be for an article of clothing or quilt that is round or has an unusual edge such as the shape of a flower that would require that the tape have the ability to stretch a little to fit the pattern. 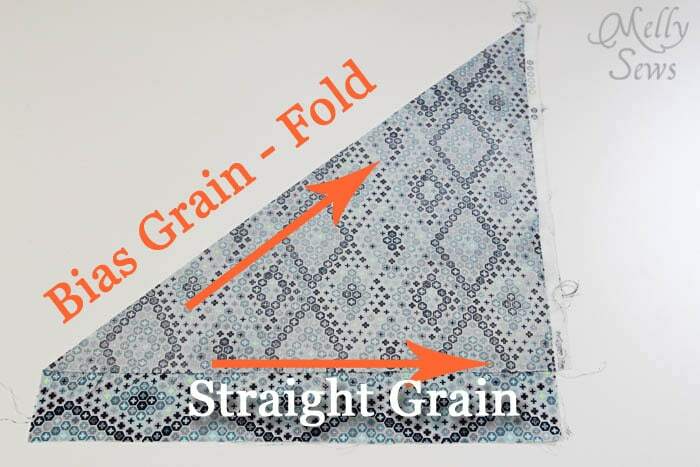 I use bias binding for binding quilts, for finishing necklines and armholes to be sure to have matching fabric, and I use bias binding on projects which require a finished edge for contrast. 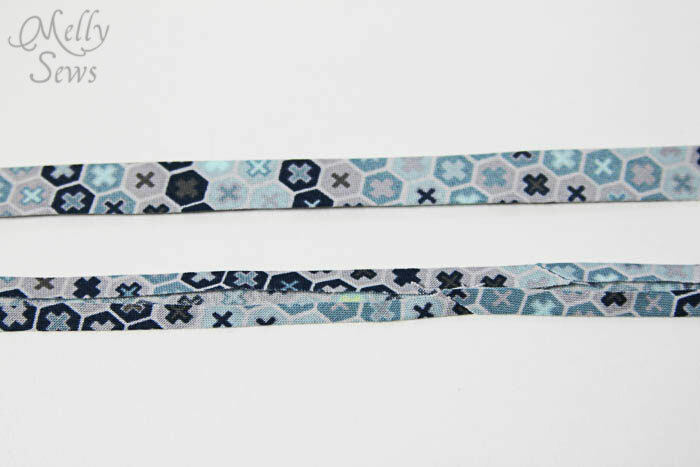 I’ve designed and made a few things and sewn my own bias tape around the edges for a quick finish. One thing was a cell phone pouch a few years ago that I just started putting together and it turned out great looking with my homemade bias tape. 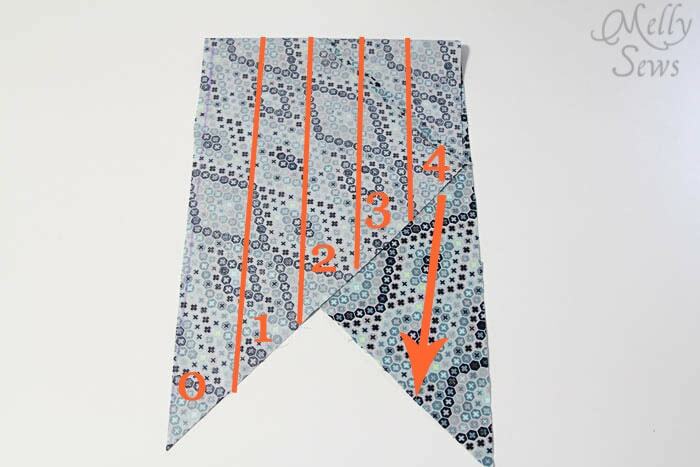 I use bias tape on my fun flag buntings and now that you make it look SO EASY, I’m going to try making my own bias tape with some cute print fabric!! I would like to make a crocheted rug using fabric as the base. Need lots of tape for that! 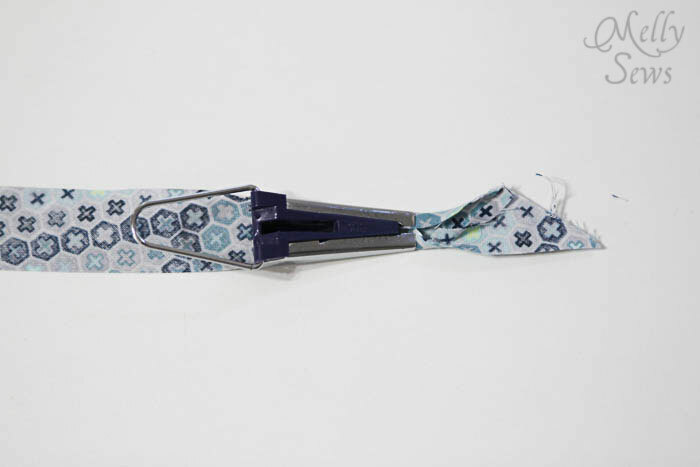 I use it for quilts and smaller things like pot holders. Thanks for the tutorial – I’ve always wondered about the pre-bought stuff – was always very hard to put on! I just used bias tape on new chair cushions for our dining room, but I mostly use it for quilting! 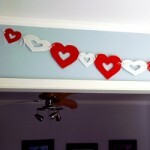 I really do need to get one of those bias tape makers- things would go much faster for me! 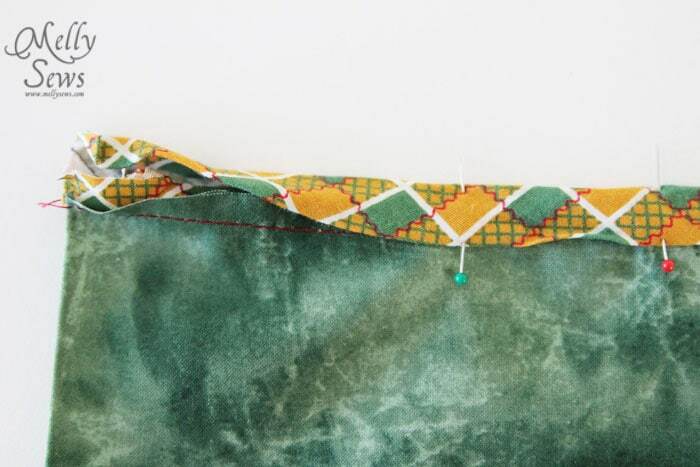 I use bias tape for quilt bindings and the waistlines of children’s clothes. Thanks for the tutorial! I didn’t know I could get so much continuous tape out of a fat quarter! 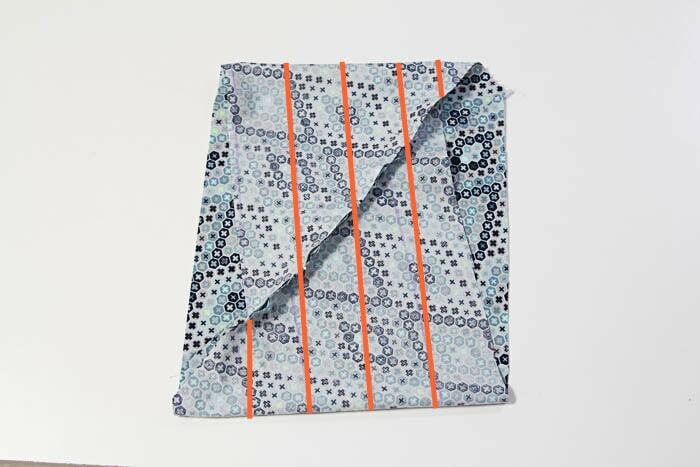 I make continuous binding to finish quilts. I use it on placemats and quilts. I use bias tape for pillow covers and totes. Excellent tutorial, great ideas in the comments! 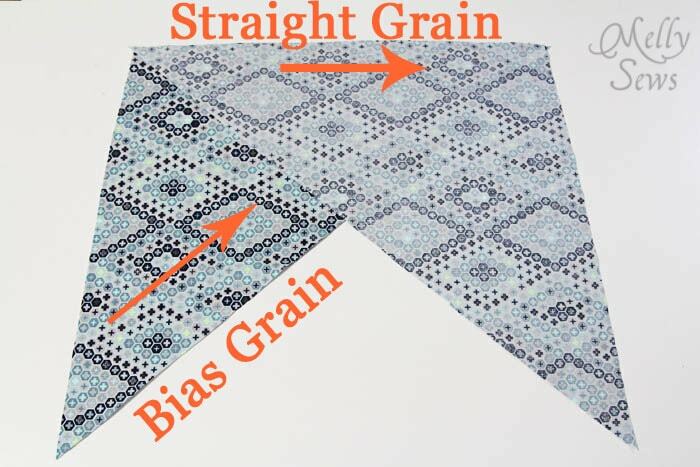 I use bias tape on the edges of most of my quilts and on all of my coasters and potholders. 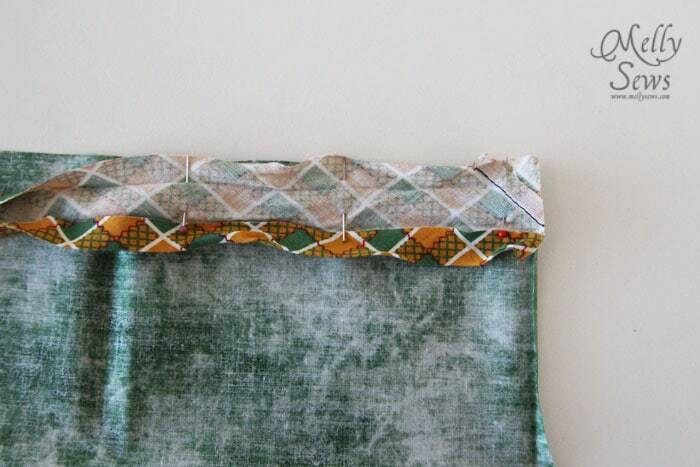 Bias tape as an edging around just about anything will give it a very professional appearance. And when you make your own bias tape the appeal is even greater. anything that needed hem edge. I’ve made bias binding strips for some of my quilts. Also to bind the edges of baby bibs.